The Dean of a Swiss university persuades Sherlock Holmes to investigate the background of a would-be lecturer. To Dr. Watson it seems a very humdrum commission - but who is the mysterious 'Lieserl'? 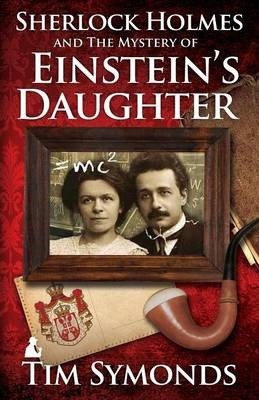 How does her existence threaten the ambitions of the technical assistant level III in Room 86 at the Federal Patents Office in Berne by the name of Albert Einstein? The assignment plunges Holmes and Watson into unfathomable Serbia to solve one of the intractable mysteries of the 20th Century. In Tim Symonds' previous detective novels, Sherlock Holmes and the Dead Boer At Scotney Castle and Sherlock Holmes And The Case Of The Bulgarian Codex the author based pivotal historic facts and a principal character on real life. So too in this new mystery.